On September 28, 1860, French chemist and physicist Paul Ulrich Villard was born. Villard is best known for having discovered gamma rays in 1900 while studying the radiation emanating from radium. Paul Villard was born in Saint-Germain-au-Mont-d’Or, Rhône, France. Villard entered the École Normal Supérieure in 1881 and received the agrégé in 1884, which gave him the license to teach at any secondary school financed by the government. After teaching in provincial secondary schools in Orléans, Bordeaux, Coutances, Rouen, Montpellier, as well as in Paris. Aided by Marcelin Berthelot, French chemist and politician noted for the Thomsen-Berthelot principle of thermochemistry, Villard became “Chargé de conférence“ at the faculty of natural science at the university of Montpellier and was able to proceed with his research. However, Villard wanted to go back to Paris and asked for a leave. In Paris, he addressed the director of the chemistry laboratories at the École normale supérieure, Henri Debray, and asked for permission to work in his laboratory. He received permission to work in the chemistry laboratory of the École Normale, where he conducted all his further research. In 1904, Robert Lespieau granted him an own laboratory. 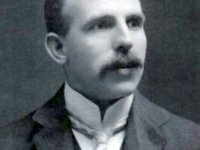 In 1898, the Curies had discovered the radioactive power of radium, and Ernest Rutherford the next year found that there were two kinds of radiation given off by radium; one is a heavy particle that has a positive charge, which he called an “alpha ray”, and the other is much lighter, with a negative charge, and he named it a “beta ray”. Around 1900 Villard began studying the radiation emitted by radium salts, including some provided by Marie and Pierre Curie. At the time when he discovered what we now call gamma rays, Villard was working in the chemistry department of the École Normale Supérieure rue d’Ulm, Paris. Villard retained a chemical point of view after having become involved in radiation physics, considering, for example, the “chemical action” of X rays and the “reducing action” of cathode rays. In his early work on cathode-ray tubes, Villard was interested in the nature of the material that moves in the tube. In this context he also considered the nature of canal rays, a puzzle since Goldstein had observed them in 1886. In 1898 Villard Observed the positively charged material moves toward the cathode and that when there are holes in the cathode, a visible stream, causing heating, passes through it. He suggested that the positive material forms the canal rays after it passes through the cathode. He was not, however, able to deflect the stream moving through the cathode by means of electric or magnetic fields; and he assumed that it had lost its charge at the cathode. On the basis of the reducing action of various rays in the cathode tube, Villard concluded that the moving material is hydrogen. His discovery, which he presented in April and May of 1900, didn’t get much attention at first. But scientists would later confirm that Villard had discovered a new variety of electromagnetic radiation, with more energy than even x rays. Following the Greek letter notation of Rutherford, it was called gamma radiation in 1903. Villard investigated the radiation from radium salts that escaped from a narrow aperture in a shielded container onto a photographic plate, through a thin layer of lead that was known to stop alpha rays. He was able to show that the remaining radiation consisted of a second and third type of rays. One of those was deflected by a magnetic field and could be identified with Rutherford’s beta rays. The last type was a very penetrating kind of radiation which had not been identified before. From the beginning Villard gave a correct interpretation of the new rays, but his discovery was largely overlooked by the scientific community. A major reason for the small interest in gamma rays at the time was that they apparently did not fit into the picture that contemporary scientists had on the material nature of atomic radiations. 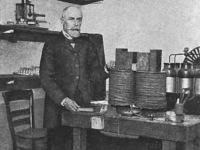 In 1904 Villard had an almost year-round dispute with Henri Pellat (1850-1909), who believed to have discovered that cathode rays were subjected to anisotropic friction when passing through a magnetic field. However, Villard was able to convincingly demonstrate that magnetofriction did not exist. Between 1906 and 1908, Villard developed a theory about the appearance of auroras. 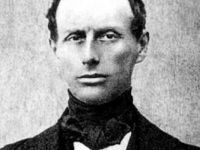 He calculated the paths that cathode rays (electrons) travel under the influence of the Earth’s magnetic field. On this basis he tried to explain the appearance, the geographical distribution and the movements of the aurora borealis. In 1908 Villard presented his “Radiosklerometer” (radiation hardness meter), a measuring instrument for determining the penetration capability (“hardness”) of X-rays according to the electrometer principle. As a new unit of measurement, he proposed the amount of X-rays released by ionization in a volume of one cubic centimeter (1 cm³) of air under normal conditions of temperature and pressure into an electrostatic unit (1 esu, charge unit in the cgs system). The later Röntgen unit was based on a similar definition. In 1904, Villard was awarded the Prix Wilde and in 1907 the Prix La Caze. 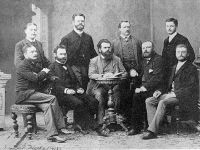 In 1908, the Académie des sciences elected Villard as successor of Eleuthère Mascart as member of their section Physique Générale. At the end of his lifetime, Villard accepted a “Pension d’honneur“ of the Caisse nationale des Sciences. Paul Villard died on January 13, 1934, at age 74.